for the latest updates find me on INSTAGRAM! 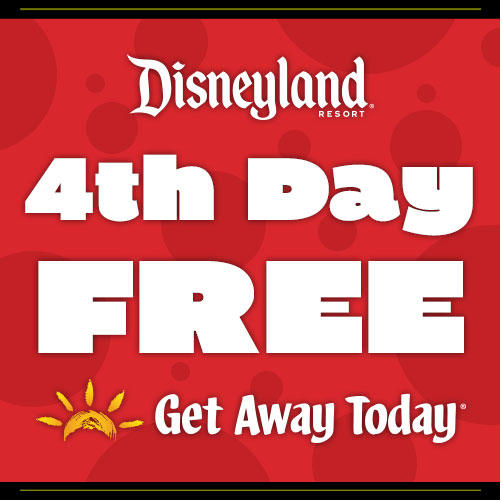 It's time for me to update you with another great discount for Disneyland tickets through Get Away Today! As Always if you are purchasing a package (minimum of 2-nights and 2 theme park tickets), use my promo code "SIMPLE" for an extra $10 off! ***USE THEIR LAYAWAY OPTION! BECAUSE, WHY NOT?! Also be sure to visit Get Away Today's facebook page and enter there FAM Trip giveaway! I would LOVE it if one of my friends won ♥ Here is the direct link to the Giveaway page, make sure you enter all of them for a better chance of winning ;) ENDS 11.18.18 11:59 MST. I love getting orders ready, packaging them up has always been my favorite. staying true to my style for The Polka Dot Barn! I'm officially back to running/walking at night. Mornings just don't work for me right now! I love running at night when the full moon lights the streets at night, makes it easier to see where I'm going. Love this little town. I know I always say that, but it really is so neat! These boys and the chickens. I will always cherish these memories of them running around! Happy Birthday Levi! Seems like we just celebrated your birthday, right?! Another last minute Disneyland DEAL!!! Get a 4-Day Park Hopper for the gate price of a 3-Day Park Hopper - that's up to a $25 per ticket savings! Travel must occur at least five days from today. If you are purchasing a package (minimum of 2-nights and 2 theme park tickets), use my promo code "SIMPLE" for an extra $10 off! If you are planning a trip to Disneyland next year in 2018, now is the time to buy! Right now you can get Adults at Kids' Prices on all 2018 3, 4 and 5-day Disneyland Resort Park Hopper tickets! LOCK IN NOW: as you know Disneyland raises their ticket prices every year, so lock in these extra savings NOW! Adults at Kid's prices. Combine with the Disneyland Resort Hotel sale (save up to 25% on select dates), Extra night free hotel offers, and exclusive Get Away Today hotel perks for the most savings! Layaway Plan - only $125 down to start it! Use PROMO CODE: SIMPLE to save even more when booking a vacation package of hotel and tickets. The sale will begin on Tuesday, November 21 and must be booked by 11:59pm MT on Cyber Monday, November 27, 2017.
just popping in to update you on a Disneyland ticket flash sale! This is good for 3-Day Disneyland Park Resort Park Hopper Tickets! Must be purchased seven days in advance, because physical tickets will be sent. Tickets must be purchased by November 8, 2017 for travel now through December 31, 2017. 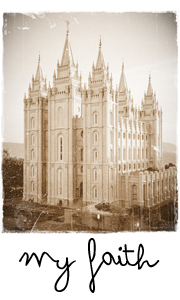 Prices are already discounted to reflect $20 and $10 savings. No promo code needed. Tickets include Get Away Today coupons for Anaheim area - up to $400 in savings. Can be combined with our hotel specials to save even more, especially when packaged with our Extra Night Free hotel specials and Get Away Today exclusives. Tickets can be booked online or over the phone at 855-GET-AWAY. and 9:00 pm MT from Mickey's Halloween Party in Disneyland. and as always mention coupon code SIMPLE for $10 off your package deal! buuuuut! with school starting, that means that fall break will be right around the corner! starting TODAY, you can save an extra $13 off gate prices with Get Away Today's Lucky $13 Disneyland Halloween Time Ticket Sale. This discount is only available on 3 Day Park Hoppers, and during Halloween Time: September 15 - October 31, 2017. You can purchase tickets separately or part of a hotel package, but they must be booked by 11:59PM MT on Monday, September 4th! i always say i bring my circus where ever we go, and our entertainment for you is free, but this time we paid to see the semi real deal, ha ha! anthony had a hard time with all the loud music, everyone yelling and screaming. he's always been super sensitive to sounds and sirens, anything loud. i need to invest in some good earplugs for him, how will he even enjoy the monster truck rally when we decide to go?! i asked them what their favorite thing was and they all said "the clowns!" look at jeremy's happiest face! yard work all weekend! i trimmed a few trees, finally pulled the last of the old fence on the corner of the property. it was a pain to clip out, over the years the trees and bushes grew through it. and a good section of it was buried in the ground. the last time i had worked on removing it was when i was pregnant with jeremy. so it was about time to finish the job! levi formed up the walls for the sidewalk, and we got concrete poured on the following monday. the concrete was looking awesome, and we kept the boys off of it, until the very end. they ran across it, picked up the trowels and went to "work" just like dad! oops. so making progress! finally painted my door. however, being exposed to the elements, sun, rain, snow, has weathered it so much. ugh. oh well. it is what it is. levi will have to take it apart and restore it again. at least he's good at that! Let's kick off the Summer of 2017 by saving you $17 off all 3 Day Disneyland Park Hopper tickets! That will save you $17 off adult AND kid priced tickets!!! Also mention "SIMPLE" for an additional $10 off your package (tickets+hotel) placed from now til June 26, 2017.
house of 3, designer digitals, rhonna farrer designs, heidi swapp.